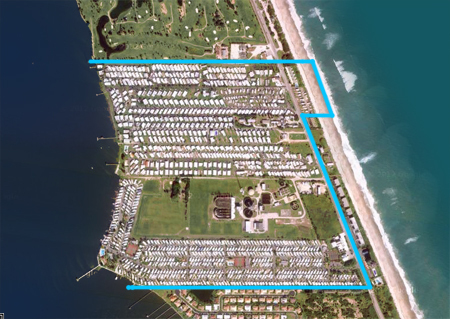 The Outdoor Resorts Vicinity includes several leisure living communities with outstanding amenities in a beautiful barrier island setting. 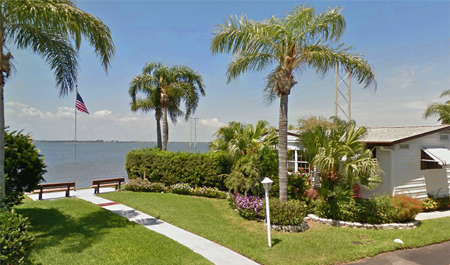 At the beginning of the south beaches, just south of Spessard Holland Golf Course and Beach Park. Info: Several communities with a variety of amenities, including river piers, community pools, beach access, tennis and more. See individual listings for features within each community. Beaches: Some of these neighborhoods have community-owned beach access. 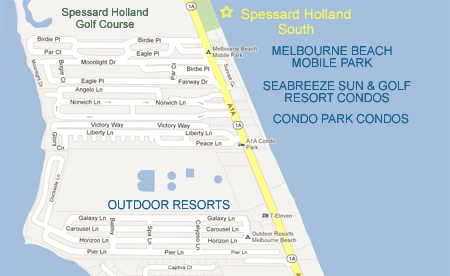 They all enjoy convenient public beach locations including Spessard Holland South, an excellent Brevard County beach park with ample parking, showers, bath and changing rooms and picnic areas (indicated by yellow stars in the map above). Beach access is free of charge in Brevard County. Home styles – Manufactured and Mobile Homes.